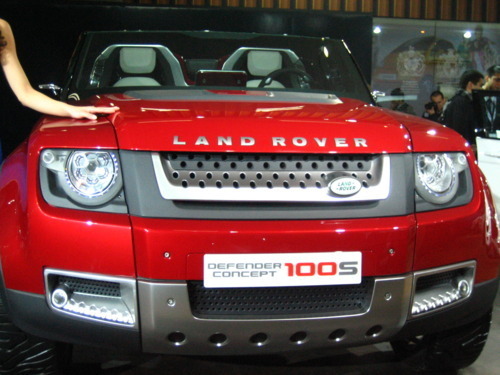 The Delhi Auto Expo 2012 is a place where the stars from the auto galaxy have converged. 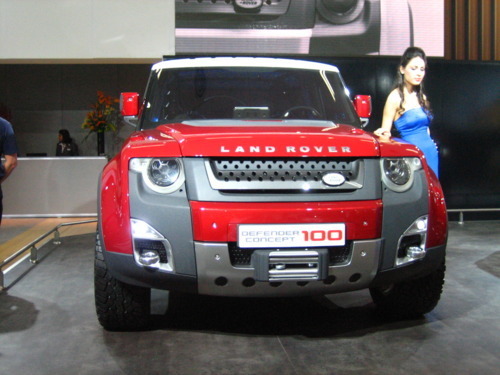 If you have survived all the jostling, struggling, and pushing to find your way through the starry-eyed crowd at the Tata and adjacent, Jaguar and Land Rover pavilion, you must already be salvating at the very sight of the recently launched Range Rover Evoque and the two concept vehicles next to it, the Land Rover Defender Concept 100 and Land Rover Defender Concept 100 S.
Land Rover’s proud of these concept cars and rightly so. Shown for the first time at the 2011 Frankfurt Motorshow, these vehicles are an indication about what to expect when the new Land Rover Defender hits the roads in 2015. The design of these concept cars is similar to some of the visual elements of its celebrated predecessor. The angles are there, but otherwise the design is rather futuristic. Though the design of the Land Rover Defender Concept Cars hasn’t been fine tuned yet, it is said that the company is inclined to create a product that fits equally in Delhi as in London.